Guru QM1 Speedstop Rigs are made using the QM1 hook, the ultimate hook for feeder fishing. There are 2 lengths available. 4 inch for use with the flatbed feeders, or the new 15 inch which are proving very effective when targetting Bream. 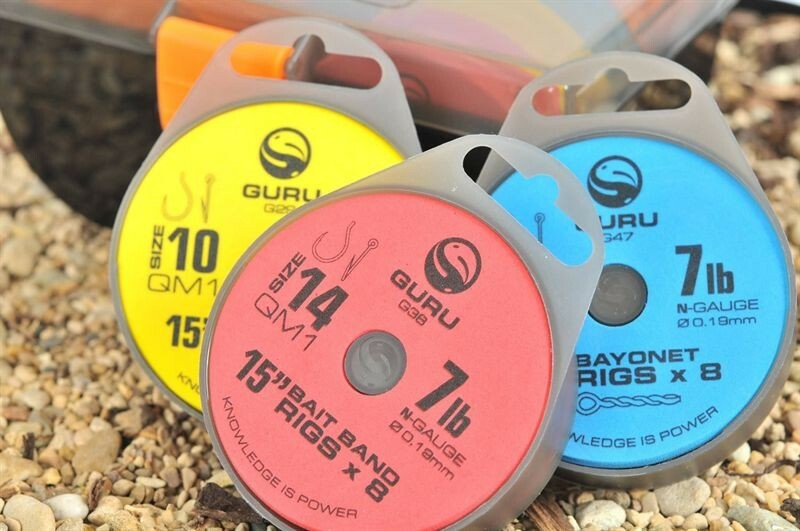 The rigs are tied using the Guru N-Gauge monofilament, renowned for its knot strenghth and abrasion resistance. FREE Delivery on all Guru Hook to Nylon over £100!! !